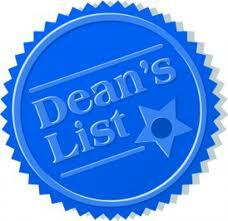 Goshen College recently recognized 234 students for excellence in academics on the 2012-13 fall semester Dean’s List. Goshen College recently recognized 239 students, for excellence in academics, on the 2011-12 spring semester Dean’s List. Goshen College recently recognized 219 students, for excellence in academics, on the 2010-11 spring semester Dean's List. Goshen College recently recognized 211 students, for excellence in academics, on the 2010-11 fall semester Dean's List. Goshen College recently recognized 293 students, for excellence in academics, on the 2009-10 spring semester Dean's List. Goshen College recently recognized 243 students for excellence in academics, on the 2008-09 spring semester Dean's List. Goshen College recently recognized 209 students, for excellence in academics, on the 2008-09 fall semester Dean's List. Goshen College recently recognized 103 students for excellence in academics, releasing the names of students on the 2003-2004 fall semester Dean's List.